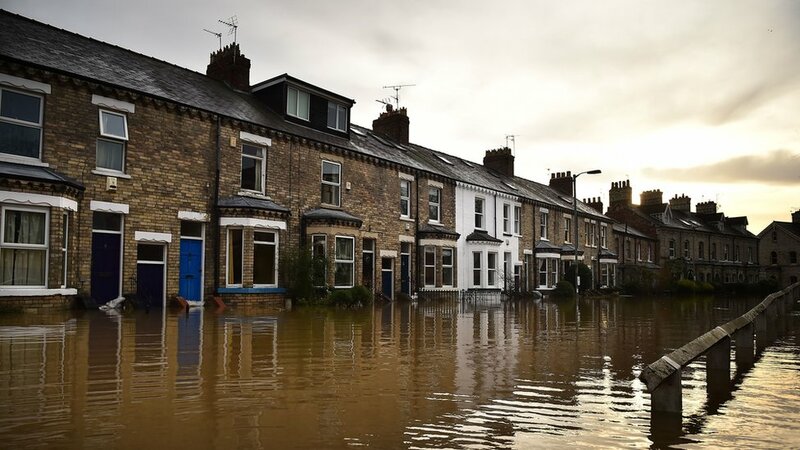 A property developer who fraudulently took almost £50,000 from victims of the 2015 floods has been sentenced to 24 months imprisonment at York Crown Court yesterday (7 August 2018). Owen Danter, aged 40 of 78 Munstead Way, Welton Brough, East Yorkshire, was the sole director of OTD Development Ltd before he voluntarily liquidated the company on 20 April 2017. He was sentenced to 24 months imprisonment in relation to the 12 charges of Consumer Protection from Unfair Trading for which he had previously pleaded guilty on 19 June 2018. The charges related to building work by the defendants at two neighbouring addresses on Huntington Road, which both suffered extensive flooding in December 2015. Both properties had to be vacated by the owners due to the extent of the flood damage. In June 2016, Mr Danter was employed to carry out the required repairs at both addresses, and by agreement, some additional building work. At both properties goods were paid for but not supplied. At one property Mr Danter issued nine invoices with a total value of £35,063.82 and to the other he issued four invoices with a total value of £14,483. On four occasions Mr Danter requested payment be made into a different bank account, because he claimed, hiis bank account had been hacked. He provided alternative bank account details which were his mother’s. The bank confirmed there was no such hacking incident. By late February 2017, the work was not finished, despite completion dates of November 2016 and December 2016 being previously given, leaving both properties uninhabitable. In December 2016, Mr Danter disappeared for several days, claiming to have suffered exhaustion and a breakdown, but returned to work. In February 2017, Mr Danter left the addresses for good, claiming he had suffered a complete breakdown. Between June 2016 and February 2017 both consumers were invoiced and paid for goods and services which did not materialise. When Mr Danter was challenged about it he gave a variety of reasons – that the articles had been ordered, or that the articles had been paid for or that the articles had been delivered and were in his storage facility. At interview with Trading Standards officers, Mr Danter admitted his management of the company was poor and that he had taken on too much work and had been involved with four other neighbouring properties. He also explained he had been suffering from depression and was dependent on medication. Cllr Nigel Ayre, executive member responsible for Trading Standards, said: “Deliberately taking people’s money and not carrying out the work would have a significant impact on most people. But to knowingly inflict that on residents who were in a vulnerable situation following the 2015 floods is far worse. This prosecution shows that we will do our utmost to protect residents from unscrupulous traders.